Truly our fellowship is with the Father, and with His Son Jesus Christ. Union with Christ or being placed in Christ, is as simple as A-B-C, for it is a result of simply trusting in Jesus as Saviour. And communion with Christ and fellowship with God is similarly as easy as 1-2-3. But false perceptions of God’s Word, often causes believers to doubt their union, and misappropriate God’s Word. And it often causes confusion about communion – about fellowship with the Father. But Scripture tells us many times, that union with Christ is an eternal relationship. Scripture also gives very clear instructions on how to maintain communion with God. 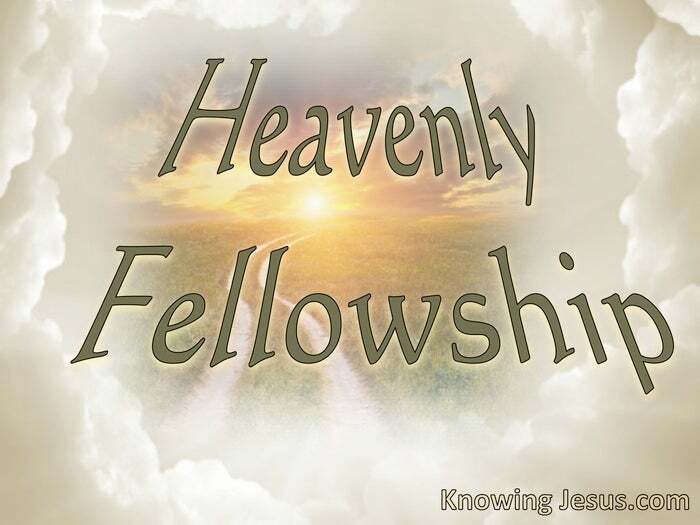 And John expounds the personal, intimate relationship we so long for, and he tells us how to maintain fellowship with God the Father and His Son, Jesus Christ. In his first epistle chapter one, John leads us through a logical path of why communion can be interrupted. He gives instruction on how we also can regain and maintain this intimate fellowship. But ingrained, religious traditions often causes us to misappropriate John’s teaching. Similarly, self-imposed perceptions of what John writes, often causes incorrect application. John tells us about the beautiful, personal and intimate communion we can all enjoy with the Father, which is the right of all His children. John reminisces of his own intimate fellowship with the eternal Son, Jesus Christ. John saw Him, heard Him and touched His Lord, and delights to tell us that we too can enjoy like-sweet communion.. precious communion and he continues: truly our fellowship is with the Father, and with His Son Jesus Christ. Decades after Christ had ascended into heaven, John tells us: truly our fellowship IS with the Father, and IS with His Son. And we discover this is possible because we are in union with Christ for we have the same indwelling Spirit of Christ as John. Communion is possible with the Father and the Son, by means of the Spirit – and it is possible today. Just as John and the other apostles communed with Christ as He walked this earth, so we too can enjoy that same sweet fellowship with the Father and the Son: that your joy may be full.